YOU MIGHT ALSO BE INTERESTED IN OUR GIRLS COATS by ROTHSCHILD (click here) AT REALLY LOW PRICES! SALE ON ROTHSCHILD WOOL COATS! Our selection of girls coats is all encompassing, as the official importer for several brands of Italian girls coats, made of classic loden or pure wool and cashmere, we probably stock the largest collection of girls Italian wool coats (actually the largest selection of boys or girls) available in the U.S.
For general information and advice about girls coats, please visit our Girls coat guide, or phone us. 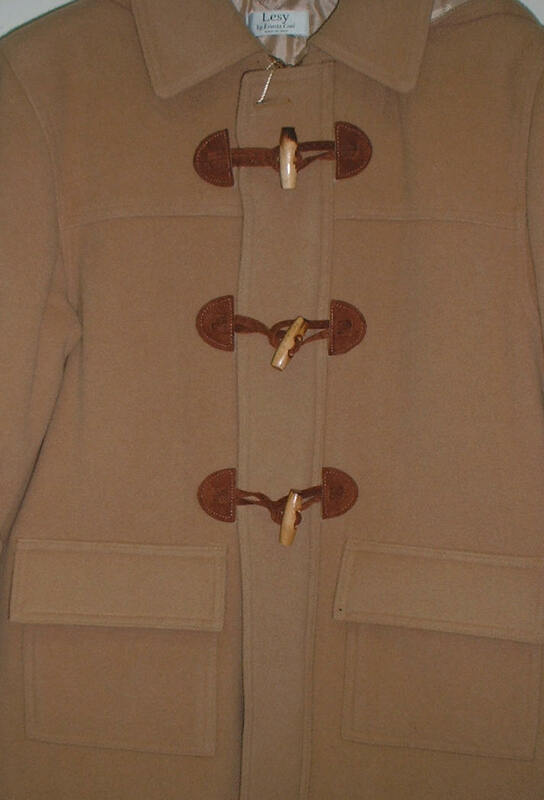 Close up of our girls coat, toggle coat. These are Italian toggle girls coats, also referred to as Montgomery or duffel coats, similar to our pea jackets but with frogging or frog buckles. These girls coats are made in Italy by Lesy of Firenze, and are the finest example of the classic wool toggle jacket / coat or duffel we have ever seen. The fabric is a very soft 100 % wool, actually 80% wool and 20% cashmere. The length of this girls coat jacket is long jacket length, just past the hips. The price is now $149 up to size 5, $159 for sizes 6 thru 9, and $169 for sizes 10 to 18. We also have other Italian toggle coats, pure 100% wool, for boys and girls at $139.These Lesy toggle coats are sold out as of 10/30/09, we thank our clientele for helping us sell out and prove to the fashion world that there is indeed a time and place for fine quality Italian clothing for children.